New patients get $45 off! Click Here to take advantage of this exclusive offer! Get $45 off your first visit! Fill out the form below or call us at (254) 778-5575 to take advantage of this exclusive offer! If you are experiencing pain in your back, neck, or legs on a regular basis, or suffer from painful conditions such as arthritis or fibromyalgia, or you just woke up feeling pain after sleeping wrong or overexerting yourself, it might be time to consider finding a Texas Chiropractor in Temple, TX. 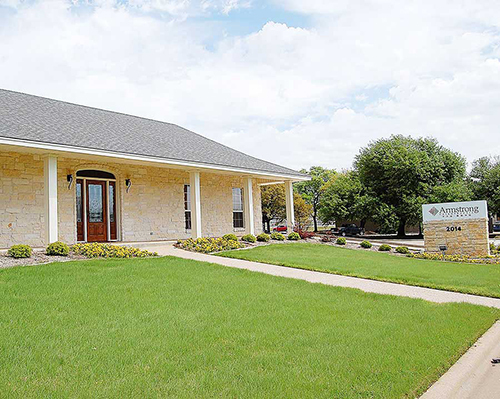 Fortunately, you'll find an excellent choice with Armstrong Chiropractic, in Temple, TX. At Armstrong Chiropractic, our TX chiropractor will fully assess your condition to look for underlying reasons for your pain, and whether it stems mostly from a single incident, such as a case of whiplash after a car accident, or it is due to a repetitive use injury, or an auto-immune disorder, such as fibromyalgia. Based on our findings, we'll discuss our personal approach to your TX chiropractic care. Whether you have visited a Texas chiropractor many times in your life, or are trying to get past your own longtime skepticism, we are here to make you comfortable with your care, and help you to feel in control of your own recovery by participating in physical therapy and in-home exercises that will empower you to feel your best, at whatever stage of life you may be in. New patients get $45 off their first visit so don't hesitate to contact us today to schedule an appointment! Chiropractic care has come a long way over the years and includes more than the basic spinal adjustments that many people expect. It also includes more broad care that helps to heal the whole person, such as nutritional counseling, lifestyle advice, postural screenings, and advice on safe corrective exercises that will help your body heal itself without resorting to invasive procedures or medications. It has become a highly accepted form of care, and several major health insurance providers cover care from a Texas chiropractor including Medicare. We also provide care and injury evaluations in cases of auto accidents or other types of personal injuries or worker's compensation claims. Armstrong Chiropractic is led by our Temple chiropractor Dr. Stephen Armstrong who has been serving the Temple area since 1992. A graduate of Palmer College of Chiropractic with honors, he believes strongly in the core idea that "the human organism has an innate power to maintain its own health." Dr. Armstrong specializes in the Gonstead technique, which focuses on building off a strong foundation. Special areas of focus include sports injuries and elderly care. Dr. Armstrong studied chiropractic care at Palmer College of Chiropractic which many regard as the top chiropractic school in the country. While there, he studied the Palmer Technique and the Gonstead Technique which are both highly regarded chiropractic techniques that only select chiropractors are qualified to perform. He may be the only chiropractor between the Dallas Fort Worth area and Austin who is able to perform these important techniques and he has been using these techniques to relieve his patient's pain for years. At Armstrong Chiropractic, we use a gentle and conservative approach that is effective. To learn more about how chiropractic care can help you, contact us at 254-778-5575 to schedule an appointment. Dr. Stephen Armstrong has been freeing people of pain and increasing the quality of their lives at his clinic in Temple, Texas since 1992. "When I first came in to see Dr. Armstrong I was in a wheelchair. I could barely get up and go to the bathroom. I was in the military and jumped out of airplanes ealier in my life and my back was really messed up. Dr. Armstrong got me out of that wheelcahir when I did not think anyone could. I trust him more than any other doctor anywhere. When I had a heart attack Dr. Armstrong came up to the hospital to see me. I would seek out his opinion before I follow advice from any other doctor, and I would take his word over theirs. There are very few people that I trust and Dr. Armstrong is one of them. I really appreciate his honesty and sincerity in taking care of his patients." "I have had pain for twelve to fifteen years that progressively worsened as years passed. I got to the point where I could not do much of anything. I had pain from my neck down to my low back, hips, thighs, and feet. I had a restricted stride in my walk. I had been given prescription strength anti-inflammatories and been offered anti-depressants, but refused. Doctors told me I had some arthritis but not enough to cause the pain I was feeling. More than once I was told I had fibromyalgia. A podiatrist could not find a reason for the pain in my feet. Through all this I became very discouraged." "When my daughter was in Junior HIgh she asked me to take her to the Doctor for pain in her legs. Due to my trust of Dr. Armstrong as an excellent 'diagnostic expert' for body pains, I brought her for an appointment. Laura was cured after a ten minute conversation. Dr. Armstrong asked her about her daily activities, because he knew that she must be aggravating a nerve in her spine. This nerve travels down both legs, and ends in the middle of the thigh. After she answered his questions about her activities at school including cheerleading, he found the problem. In one of the stretches my daughter was unknowingly putting undue pressure on a vertebrae. He advised her that once she quit this stretch that the pain would be done within a few weeks, and it was. Since, she has not had any more leg pain." "From the time I walked into the office without an appointment on the 25th of January 2011, I was treated exceptionally well. I had injured my back on the 22nd of January and while in my dentist's office the morning of the 25th it was suggested that I go see Dr. Armstrong by my dentist. I walked into the office and was immediately greeted and asked what could be done for me. I wasn't asked what was wrong with me; I was asked 'What can we do for you?' I was given the necessary paperwork to complete and before I could complete the questionnaire, I was directed to the back office for x-rays and an examination. I felt that the staff recognized my problem was causing pain and did their best to move things along quickly to get me some relief. (Pt. #2 for the Staff."